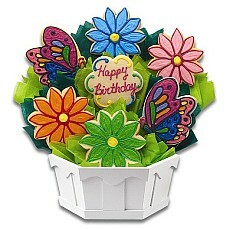 Her heart will flutter when she receives these butterfly and daisy cookies! 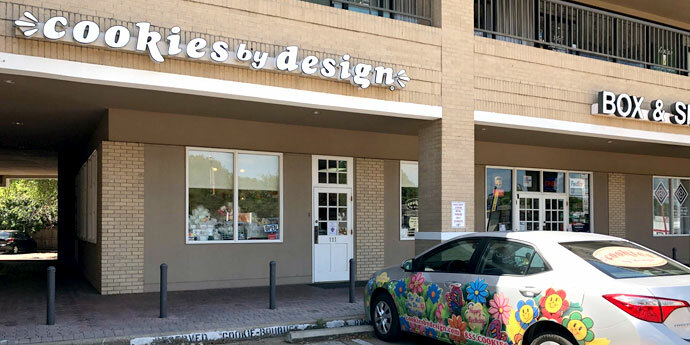 Cookies by Design Fort Worth has been helping customers with their gift giving needs since 1988. Our business is to help our customers make their next gift unique, creative, personal and timely. Our approach is to do this while matching your ideas and budget with our products and delivery capabilities. Each of our signature sugar cookies is freshly baked, hand-decorated and can be customized with a name, special message or even a photo. We handle individual and corporate gift giving, with custom cookie bouquets and gift ideas for any occasion. 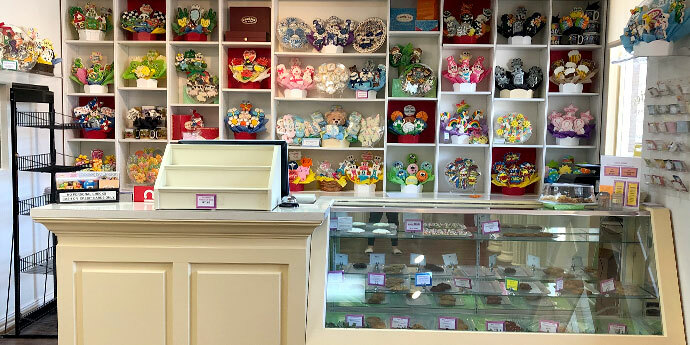 Stop in our Fort Worth bakery located on Camp Bowie Blvd in the River Crest shopping center and catch the aroma of fresh baked gourmet cookies and treats. Grab a treat for yourself or have a gift basket delivered to a loved one. We offer cookie delivery to the following areas: City of Fort Worth plus the surrounding cities of Keller, Haslet, North Richland Hills, Richland Hills, Haltom City, Watauga, Saginaw, Blue Mound, Forest Hills, Edgecliff, Kennedale, Everman, Crowley, Burleson, Benbrook, Aledo, Weatherford, Azle, and Lake Worth. Same day delivery is available in most areas.